A couple weeks ago, we took a family ski trip to Mammoth on the eastern side of the Sierra Nevada mountains. It was an unusual trip for us as we traveled an entirely new route. There is no direct route across the mountains to Mammoth Lakes from San Luis Obispo. One can either drive the northern route (through Tioga Pass in Yosemite) or take the southern route which you travel down towards Bakersfield and then back up 395. Tioga Pass is closed when there's snow, but since we've always gone over there in the Summer, we've always gone the northern route. Recently Ford motor company had a deal where they'd give you a free lift ticket for the Mammoth ski area if you test drove one of their cars. So before Spring Break, I test drove about ten cars in the towns all around us, acquiring enough free tickets to make our trip feasible. 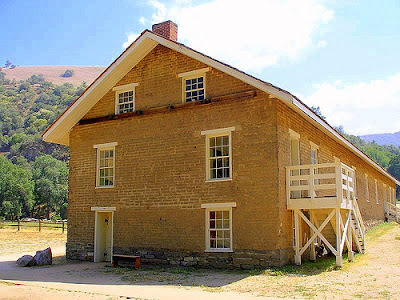 Since our journey was in the Spring, Tioga pass was closed and we went the southern route taking me past many places I'd never seen, including a noticeably large ranch past Bakersfield, the privately owned Tejon Ranch. 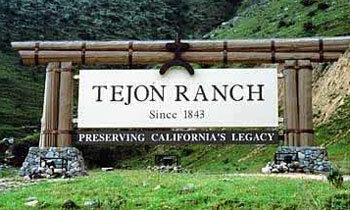 A giant sign off of I-5 announced "Tejon Ranch – since 1843." I was curious about the ranch for two reasons, first its obvious size and secondly, the rather old date (for California). 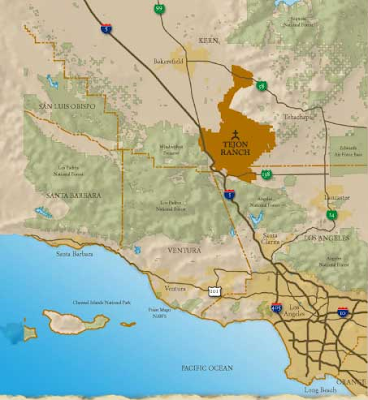 When I Googled Tejon Ranch, I was really surprised by its size. It covers 270,000 acres (or 421.875 square miles)! To give you some kind of reference. This is land area 40.4% of the size of the State of Rhode Island! 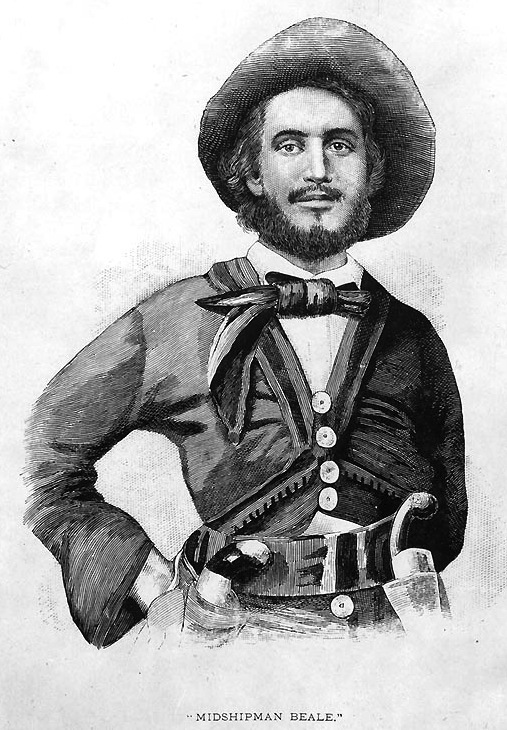 And the fellow that started Tejon Ranch was none other than yesterday's Person-of-Mystery, Edward F. Beale. Edward Fitzgerald Beale, the son of George Beale (a naval hero from the War of 1812), was himself a sailing master on the Congress, a frigate in Commodore Stockton's squadron and for a time his private secretary. Beale was with Stockton when he met with the Texan Congress before annexation and was also with him when the war with Mexico commenced. 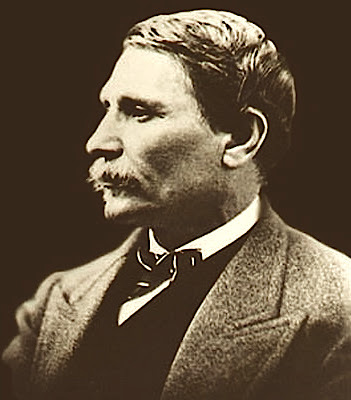 Under Stockton's orders, Beale worked as a spy and was later dispatched to help with General Kearny's land operations. 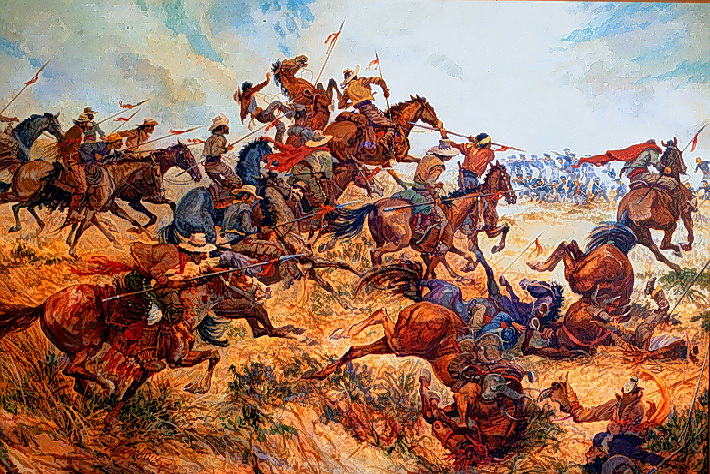 Before the Battle of San Pasqual, Beale along with Kit Carson and an Indian Scout, snuck through the Mexican lines to obtain reinforcements. Before the war was over, Beale achieved notoriety when he was sent in disguise across the continent to the East Coast, with the first proof of California's gold discovery. Beale would make multiple overland journeys across the continent including being the one to bring California's first Constitution to the nation's capital. After the war, Beale resigned from the navy and was appointed Superintendent of Indian Affairs for California and Nevada, where he was known for his fair policies and his advocacy for the creation of Indian reservations and their self-sufficiency as well as the creation of Fort Tejon, a military post in the area. He also served on the surveying party for the First Transcontinental Railroad. Beale was tasked by President Buchanan to survey and build a wagon road from Fort Defiance to the Colorado River. For this task, he created the first Camel Corps in the United States. 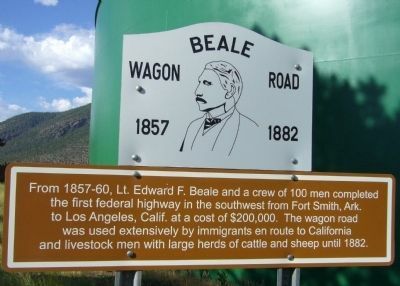 Portions of Beale's Wagon Road later would become Route 66. Beale was also responsible for widening and deepening a cut used by the Butterfield Overland Mail. Beale's Cut was later a famous passage now near the Newhall Pass. In 1865 and 1866, Beale purchased old Mexican land grants and acquired the Tejon Ranch mentioned earlier and in 1872 he also purchased Decatur House in Washington, DC, where he became the capital's most famous host. From 1876 to 1877, Beale served as Ambassador to Austria-Hungary. In his final years, he split his time between the Tejon Ranch and Decatur House before dying in 1893. I was surprised that I had known so little about a man who was so integral in settling California and who was personal friends with the like of Stockton, Fremont, Kit Carson and Buffalo Bill, let alone Presidents Grant and Cleveland. Today Beale Air Force Base in Northern California is named in his honor. He was going to be my next guess. You guys are kind of play it close to the vest. That is almost as bad as PJM preacher. I can't believe it. I should have searched just a little further. I just finished reading Hampton Sides' Blood and Thunder. If you haven't read it you may want to now with this information in hand. Excellent entry. I really enjoyed learning about Gen. Beale from you. Thanks for the great lesson, Nate. Always interesting. Being Californians ourselves we were familiar with a lot of your information. But you sure filled in the gaps with even more history. You are a great teacher. I must say tho, my husband is curious what route you took from SLO to Bakersfield. Can you enlighten us ever further? Momma Nic, tell your husband we took the 101 North to Paso Robles and then took CA-46 East to CA-99 South which runs to Bakersfield. From Bakersfield to Mammoth you take CA-14 North which becomes the 395. The company has approval to build 26,000 new homes concentrated in three developments on 10% of the total acreage, spreading urban sprawl into the Central Valley. 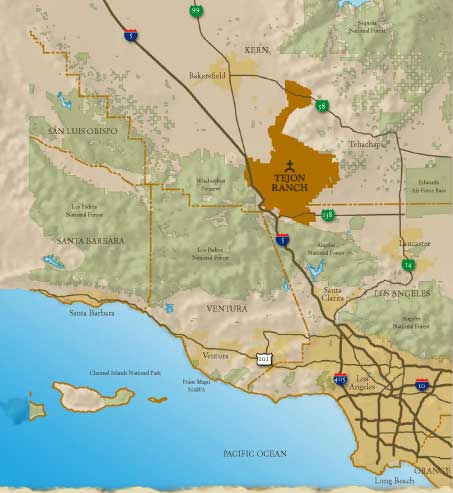 "The agreement guarantees Tejon Ranch Co. the right to proceed with massive development projects near Interstate 5: Centennial, a planned community of 23,000 homes east of Quail Lake in northern Los Angeles County; and Tejon Mountain Village in southern Kern County, which will include a resort featuring spas and boutique hotels, commercial space, golf courses and 3,400 estate homes. The Tejon Industrial Complex in the Kern County portion of the ranch is already home to IKEA's 2-million-square-foot main distribution warehouse, among others." Thanks Nate for your posts. I also enjoy OPOD. My two favorite stops of the day! Beale and Gody enjoyed the killing of the sick, old, and babies of Indians at Tejon Indian Reservation, but the body count was at 40, 000 and they had to bury them in mass graves. Honor him if you wish and join the Hitler followers next. FYI, Beale AFB is not named after EF Beale. And to be certain, Beale was an opportunitst and great benefactor of patronage. He may have been cleared of wrongdoing because of his powerful political ties and his prominent family name but he embezzled what is the equivelent of close to $20 million dollars in todays money, as the Supt of Indian affairs. He was pro reservation because he knew well, the vast appropriations to which he would have access to. It was Beale who was entrusted to emeliorate CA Indians conditions with vast federal appropriations for this purpose while thousands of CA Indians were being slaughtered, yes slaughtered, enslaved, starved, hunted like coyotes, children stolen and sold to the highest bidder in SF, LA and other cities by Americans settling California. With this great responsibility did little but use the funds to engratiate himself and his cronies, Godey, Fremont, Bishop, etc. While a small number of CA indians benefitted to some extent, in that they were to some extent protected from the slaughter occurring throughout California, they recieved very little benefit from the funds intended to assist them. Instead they were still regularly under threat of settlers and on occasion residence of the reservation were killed by whites, and they were forced to labor on farms under the threat of corporal punishment administered by Bishop and Godey. Intended to benefit the Indians, the proceeds from the agricultural product produced went to no other than Beale, Godey and Bishop. Beale used millions (in todays money) to purchase cattle intended to feed starving Indians in central CA, to stock his personal stock, with which he made himself rich. Through these and other underhanded means Beale purchased several land grants that make up Tejon. 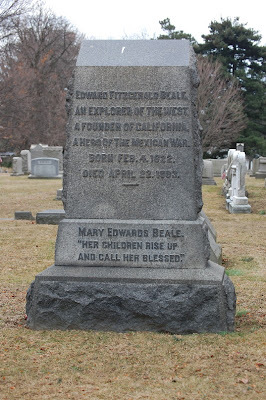 This is not conjecture, theory or anti-Beale sentiment, but facts of history usually swept under in the glorification and myth of Beale and early california history. It is available in the primary sources of government records, JP Harringtons Tejon Indian depositions, early CA newspapers, etc.